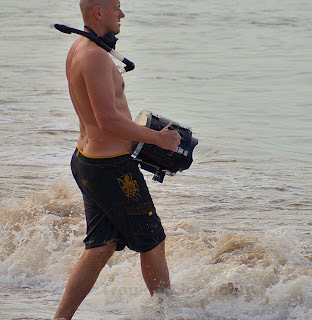 I saw this guy on the beach this morning and even though I don't know him, I feel like I know him very well. I too have a bowling ball of an underwater camera housing, and going for a swim takes loads of preparation and equipment care. And that doesn't even count all the time and effort required to process the photographs. The thing is, it is worth every bit of the time and effort.